How's that for a long title? We usually just shorten it to "Big Hungry Bear." I have to say, we like this book so much that it's not just a part of the favorites list, but it is a favoritest favorite. 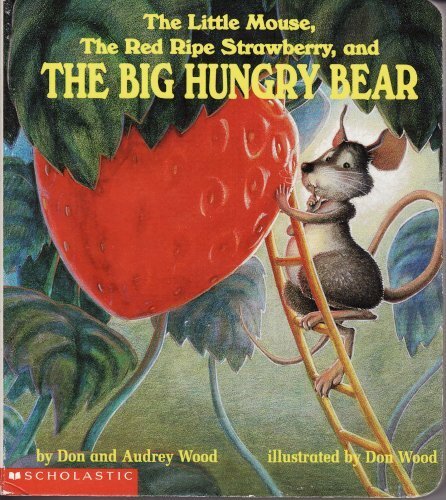 It has all the elements of the perfect story: an endearing main character (Little Mouse), suspense (the big hungry bear), humor, involvement with the reader (the reader speaks directly to Little Mouse), and in the end, triumph against all odds (for Little Mouse and the reader). And the illustrations? I can't praise them enough. Little Mouse's expressions are priceless, and of course, must be mimicked by us. How can books like this escape the Caldecott?! The fact that I'm listing a book about BUGS as one of my favorite books proves that I'm a mother of boys. 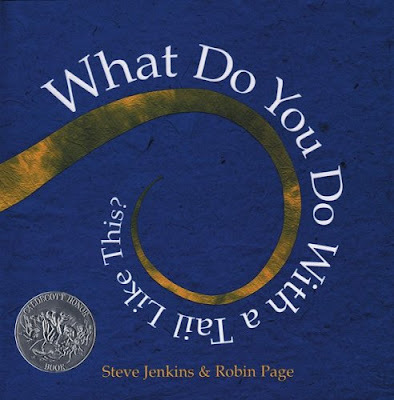 We love this rhyming book that explores all kinds of bugs from "curl-up-tight bugs" to "glide-across-the-ground bugs." The book ends with the "eight-legged hairy bug," whose appearance is appropriately accompanied by bloodcurdling screams from Aaron and me. This book is a great introduction to less well-known animals, like bush babies or platypuses, as well as the familiar elephants, giraffes, etc. The book is set up in a question/answer format: What do you do with a nose like this? (five different noses are shown); turn the page to find the animals and the answers (ex. If you're an alligator, you breathe through your nose while hiding in the water.). At the back of the book, there are more fun facts about each animal. This is a fun rhyming book about a little llama who gets put to bed by his mama llama. He realizes he doesn't like being alone and calls to his mama llama for a drink of water. She doesn't come as quickly as he would like, and he gets very impatient, and even frightened, that he has been left all alone. My favorite line? "Please stop all this llama drama and be patient for your mama." 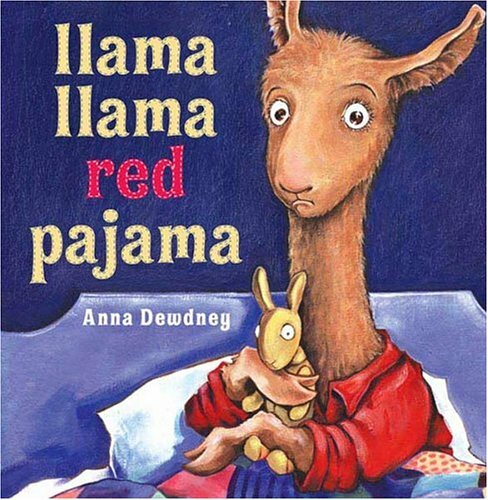 And if you think mama llama isn't fun to say, then just trust me, it is. While not as sophisticated as Big Hungry Bear, this book has become a fast favorite among the whole family. Pete, who is a very cool, very laid-back cat, loves his white shoes, so he sings about them. During a series of unfortunate events, the shoes turn from white to red to blue to brown and finally back to white. Every time the shoes change colors, Pete sings a new version of his song. In the Johnson household, the song is belted out at an alarming volume with plenty of head bopping and bobbing. And the moral of the story? Be happy with whatever comes your way. "Because it's all good."